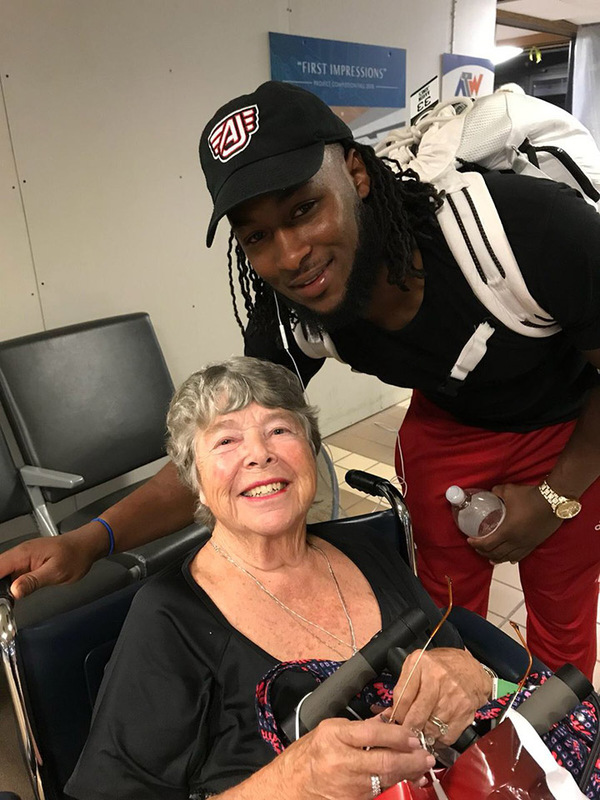 Green Bay Packers running back Aaron Jones is receiving a lot of love on social media for assisting a woman at Appleton International Airport in Wisconsin. 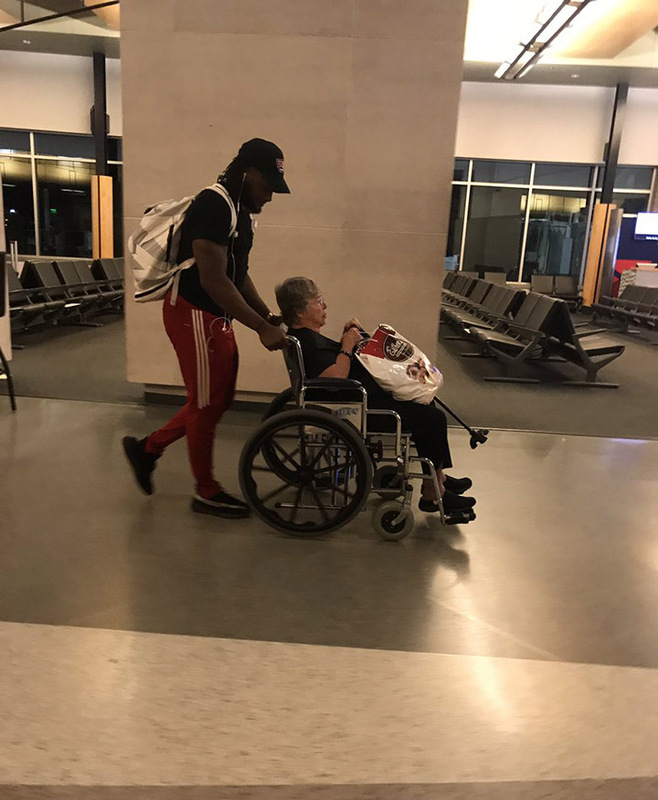 On Monday, Jones was photographed pushing a woman in her wheelchair through the airport by a fellow traveler and apparent Packers fan. “Just watched Packers Aaron Jones push a random lady through the Appleton airport because there was no there to push. GO PACK GO,” Momica captioned her photo on Twitter. Twitter users praised the running back for his kindness. “Another reason why I love being a Packers fan. His parents raised him right,” tweeted @O10Courtney. “You can easily judge the character of a man by how he treats those who can do nothing for him,” Ron Clements wrote. Jones, 23, is entering his second season with the Green Bay Packers after a breakout rookie year.